Whatcha’ Gonna’ Do With That Instant Pot®? If you’re a foodie, home chef, professional chef or you’re an early adopter of all things cool and new, then you may be on the receiving end of an Instant Pot this holiday season. And lucky you! 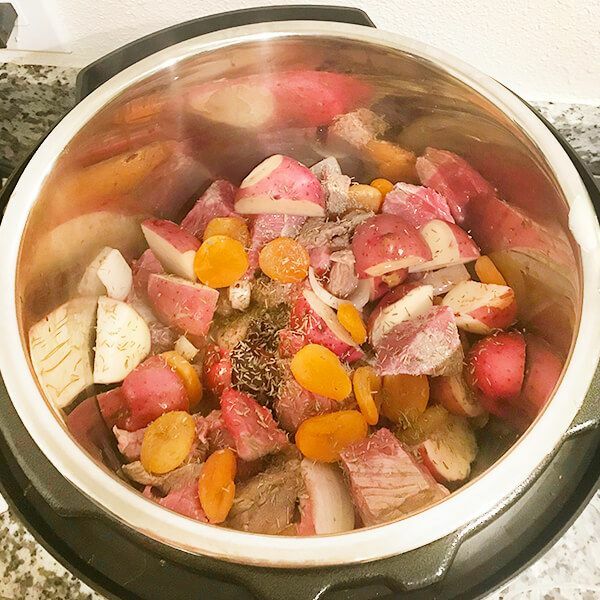 The Instant Pot brings the pressure cooker culinary technique from the past to a current, fast and easy way to prepare delicious meals. This kitchen appliance combines an all-in-one pressure cooker, slow cooker, rice cooker, yogurt maker, sauté/searing pan, steamer and warming pot together in one digital device. The pot is equipped with smart Bluetooth® technology that wirelessly connects, allowing you to program and monitor your cooking from an iOS or Android mobile device. Orange Chicken, Instant Pot isn't just for stews! A few words of advice before diving in: It’s advised to read the manual first and to try out some simple recipes for the first time. For example, try this simple popcorn recipe first. Once you get the hang of it, heres’ an easy Taco Soup recipe takes about 10 minutes to cook in your Instant Pot and is a fast way to cook dinner mid-week. You can substitute the ground beef for ground turkey if you prefer. Another easy and satisfying recipe is Easy Instant Pot Orange Chicken. Serve over a bed of steamed brown or white rice and you’re ready for dinner. You can saute right inside the pot! As you can imagine, there are millions of Instant Pot recipes on Pinterest so it was no easy task to feature one that would be versatile, healthy and make great use of High Quality Organics Express organic, non GMO paprika, thyme and garlic pepper (a great addition to this recipe). In fact, you can make this recipe your own by combining the herbs and spices you love. Fill your pantry with High Quality Organics Express organic, non-GMO herbs and spices and save 15% on daily specials and free shipping. In a small bowl, combine paprika, thyme, salt, and pepper. Rub seasoning over outside of bird. Heat oil in the pressure cooker to shimmering. Add chicken, breast side down and cook 6-7 minutes. Flip the chicken and add broth, lemon juice and garlic cloves. Lock pressure cooker lid and set for 25 minutes on high. Let the pressure cooker release naturally. Remove from pressure cooker and let stand for 5 minutes before carving.